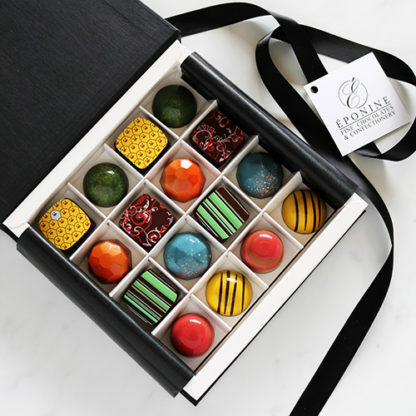 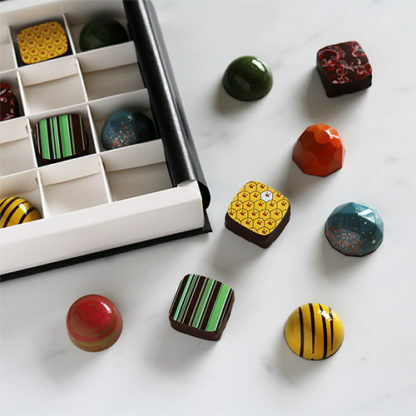 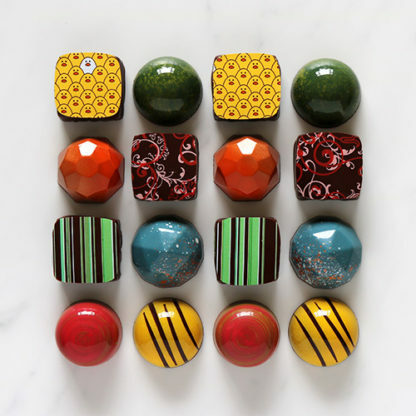 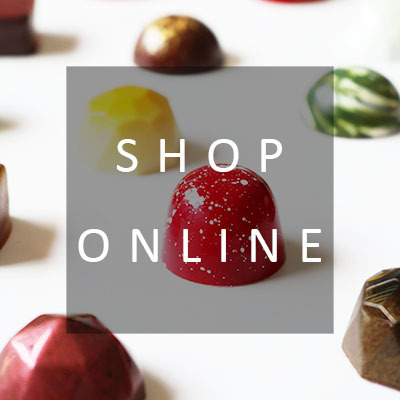 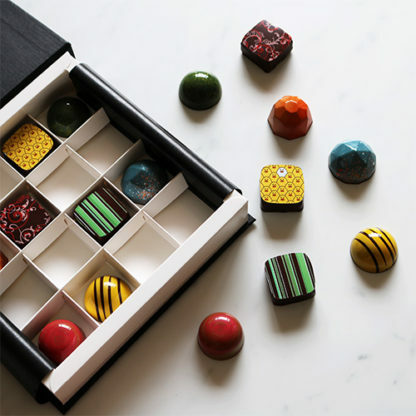 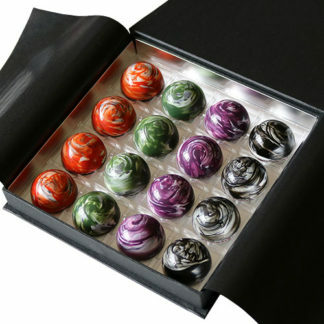 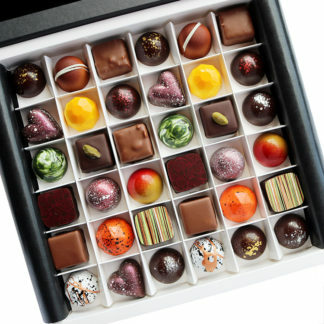 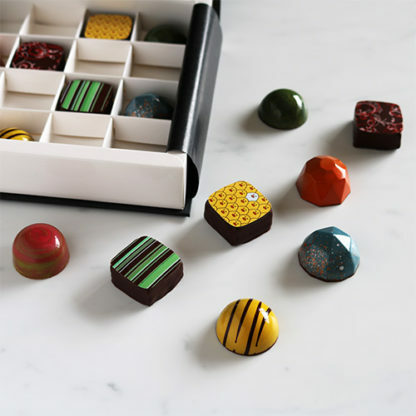 A stunning gift box of 16 beautifully crafted bonbons, inspired by Spring. Our 2019 Spring Collection features 8 brand new recipes, with a focus on bright, fresh flavours and colours. 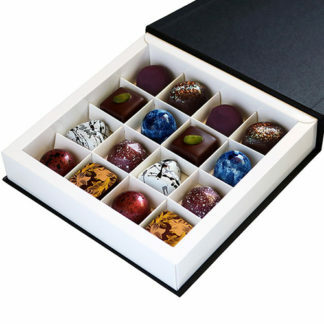 Presented in our signature black and white gift box, hand tied with satin ribbon.